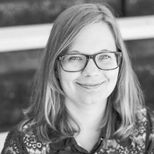 Meredith Rutland Bauer is a freelance technology and environment reporter in San Francisco. Her work has appeared in Wired, Newsweek, Audubon, The Weather Channel, The Atlantic's City Lab, Vice Motherboard, Quartz and other publications. Her focus is on emerging technologies and their impact on people and the environment. Hyperloop promises ultrafast transportation. But what does it mean for the environment?